She asked me what I use on my face and I was embarrassed to share that I wasn’t using a moisturizer. She went on to tell me about a facial moisturizer they carry that’s great for sensitive skin like mine, is totally organic, and made of food. In fact it’s actually safe to eat (not that it would taste very good :). 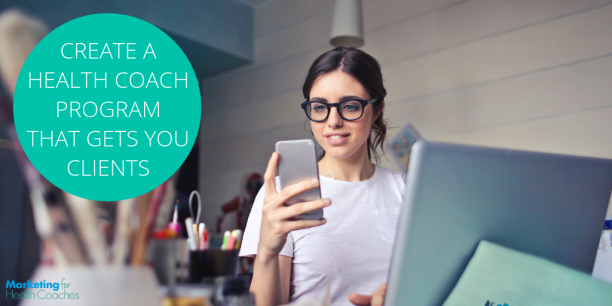 Now think about this in terms of your own health coach program… Are you delivering that much enthusiasm when speaking to your potential clients? I’m NOT saying you should be pushy and salesy. I’m saying that the enthusiasm and excitement of the person selling has a big impact on the buyer’s enthusiasm and their likeliness to buy. 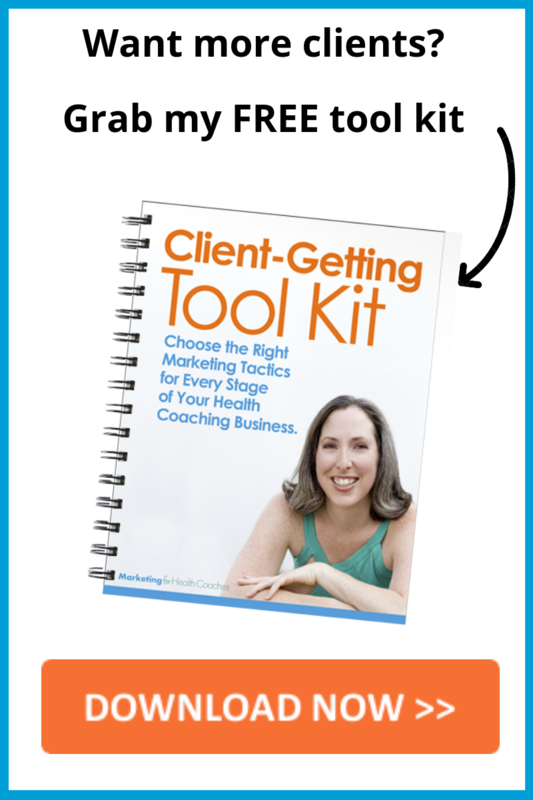 When you’re excited, your potential clients will be more excited. 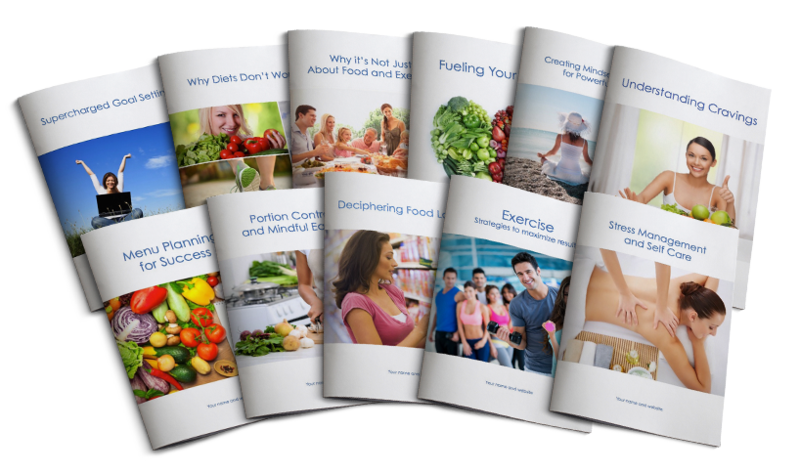 For a health coach like you, delivering that enthusiasm comes from confidence. Confidence in knowing exactly what you’re going to offer to your clients. Confidence that your programs are exactly what your ideal clients are looking for. Confidence that what your offering will get your clients results. You have to be excited about what you’re selling. And that comes from feeling passionate about what you’re offering and how it helps your clients. This is why confidence is so important. 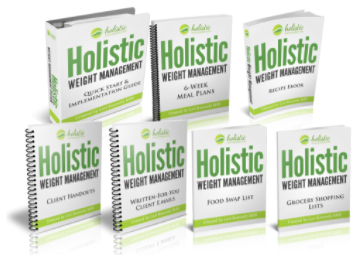 If you don’t believe in yourself and your health coach program, even the best marketing strategies in the world are still going to fall short. There are two situations I see that may be zapping your level of excitement when it comes to making an offer to work with you. It took me a really long time to try Orange Theory Fitness. I thought about it for well over a year before I actually just did it. I was nervous because I didn’t know what to expect. Would I be able to do it? Would I like it? Would I know what to do or would I look like a total weirdo? Once I went, I realized all those fears were for nothing because I LOVED it. Sometimes the unknown is the scariest part. This fear of the unknown can creep into our health coaching business, too. If you don’t know exactly what you’re going to offer at the end of a conversation with a potential client, you may avoid speaking to them altogether. Your fear of being unable to inspire potential clients to work with you at the end of the conversation may be holding you back. Having clarity around your health coach program can restore your excitement when speaking to potential clients. If you HAVE an offer, but you haven’t really defined what it IS, you may lack the motivation to market your business wholeheartedly. For example, you might be selling ‘coaching’, but you don’t have clarity about what that actually looks like and what you’ll specifically do with clients during the program. Without that clarity, you’ll have a harder time speaking confidently to potential clients about the process and the results they can expect. Again, this leads to feeling unprepared to invite potential clients to work with you. This is why having clarity on your offer is so crucial to your success. When you have excitement and confidence in what you’re offering, this will translate into your clients feeling excitement and confidence about working with you. Getting super clear on your offer is one of the first steps to getting there! Getting to a clear offer may seem overwhelming – but it doesn’t have to be! 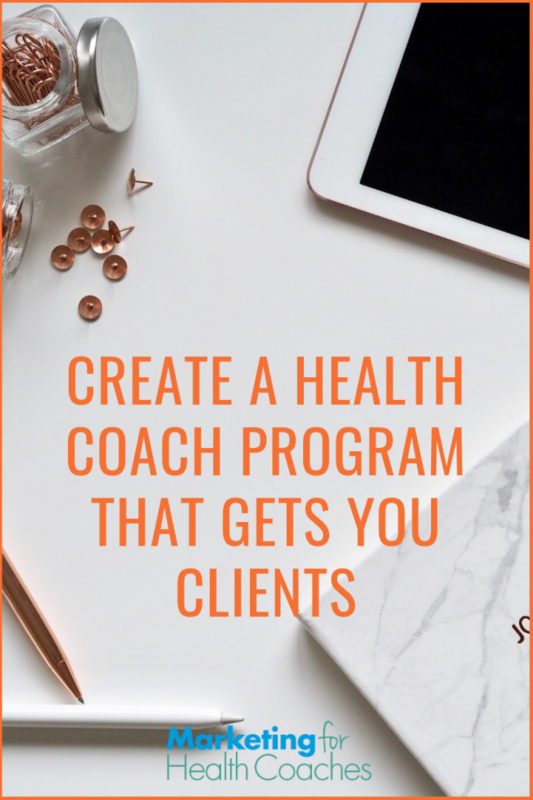 Even if you’re a new coach, you can create a client-getting offer that packages your expertise and gets clients excited about working with you. Would you like support with mapping out your client-getting offer…. and filling your health coaching practice? I’m cooking something up for you where we’ll do exactly that! Interested? Have you been avoiding speaking to potential clients because of a lack of clarity around your offer? What helped you to get over that fear?